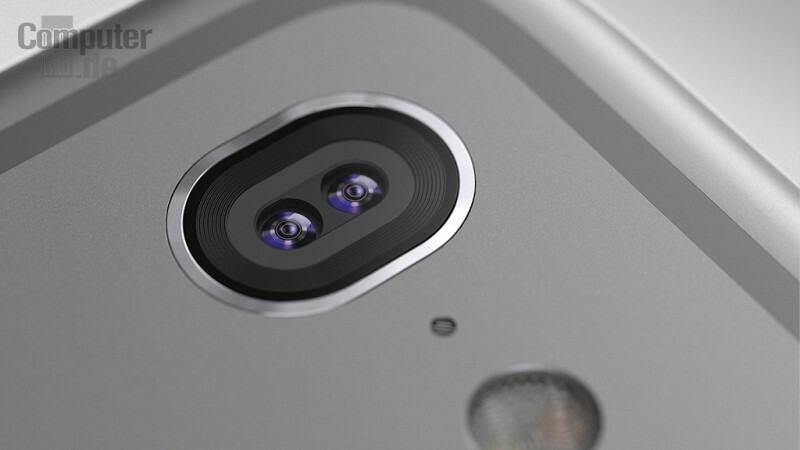 Sony, the manufacturer behind many of the camera sensors used in Apple's iOS devices, recently confirmed that its dual-lens camera platform will be featured in devices from "major smartphone players" in 2016. The information was shared by Sony CFO Kenchiro Yoshida during the company's recent Q3 2015 earnings call and was highlighted by Xperiablog. Sony's camera technology is used by a wide range of smartphone manufacturers, including Apple, and Yoshida declined to name specific companies that would take advantage of Sony's dual-lens camera platform. Dual-lens technology has previously been used in smartphones such as the HTC M8, but it may soon become a more popular option following rumors that Apple plans to incorporate a dual-lens system into its iPhone 7 Plus. Apple is said to be planning to use dual-lens technology it acquired from Israeli camera company LinX in the iPhone 7 Plus, but Apple may still be incorporating Sony sensor components into its camera module. Apple is also said to be testing dual-lens camera samples from a range of manufacturers in Taiwan, Japan, and China. According to Yoshida, dual-lens camera systems will be coming from multiple major smartphone manufacturers this year, but because of slowdowns in the high-end smartphone market could impact production, 2017 will be the year when the dual lens camera platform really takes off. Well, for next year, our so-called dual lens - dual camera platform will be launched by, we believe, from major smartphone players. However, as I said previously, recently, our smartphone market is growing and particularly, our high-end smartphone market is now slowing down. So, that may impact the demand or production schedule of dual camera smartphones by the major smartphone manufacturers. So, we believe the real start, the takeoff of smartphone with dual lens camera will be in the year of 2017." Rumors have suggested Apple is planning to incorporate a dual lens camera system into the iPhone 7 Plus to differentiate it from the iPhone 7, which will continue to offer a more traditional single-lens camera. Should Apple follow through with its plans, its first dual-lens system will debut towards the end of 2016, likely in September. The launch of the iPhone 7 is still multiple months away, but details about the new device have been steadily trickling out. Yesterday, MacRumors shared information on the device's design, which is expected to be similar to the iPhone 6s design but with a flush rear camera and no antenna bands across the back. Other rumors suggest it will have improved water resistance and no headphone jack. I hope this rumour is true, I love the camera on my iPhone and getting DSLR quality photos would be worth the price alone! You may get better pictures but you most assuredly won't be getting DSLR quality photos. Not sure why phrases like "DLSR -like", "DSLR quality", or "near DLSR" are being bandied about. Well, I'm totally sure why it's being done. I just wish it wasn't. It sets an expectation in the customer's mind that has no chance of being met. I wish they were given more credit. Samsung and LG, which are Korean, and Apple, which is American, all pretend to have made these innovations. But it really comes from Japan. It's no accident that Nikon, Canon, Sony, and Olympus are all Japanese. The dual sensor technology has shown the ability to greatly reduce digital noise in images and allow the compact system in the phone to take images that look much closer to DSLR quality in small and medium sized image applications. Sony, I'm glad it's you. I really hope that Apple isn't planning to turn their most popular phone into a second class citizen just to prop up that phablet monstrosity. As it is the 6 barely fits my pocket. If the regular size phone ends up missing the 7 series' marquee feature I will probably skip it. I hope Apple spend money on these technologies, not buying and burning stocks. In low light situations, as the light level drops, a camera has to extend the exposure time to maintain image quality (at a certain level). This why you'll get more images with motion blur in such situations. For example, instead of 1/60 s if the light is better, the camera might choose 1/30 s to capture more light by keeping the shutter open twice as long. Technically, you could see this as two 1/60 s exposures taken back to back with no gap in between. But as they extend over a 1/30 s time period, any camera or subject movement over that period will result in a blur proportional to the length of that period. What the dual-lens systems do is to take two 1/60 s exposures (in this example) not one after the other but at the same time and add the recorded signals/data. Thus you only get the amount of blur that movement during this 1/60 s time period causes but get the amount of light a 1/30 s exposure would normally result in. Another way to describe this that you get a sensor area that is effectively twice as large compared to a single camera module (without requiring a bigger lens that a single lens camera module with twice the sensor area would require, where bigger means also thicker in phone geometry terms). However, since the sensor of a typical DSLR is about 20x larger than that of an iPhone camera, an increase by a factor of two still leaves a big gap in effective sensor difference. 2-3x optical zoom, SLR level low light image performance.